What does Curry Auto,LLC d/b/a Curry Acura do with your personal information? All financial companies need to share customers personal information to run their everyday business. In the section below, we list the reasons financial companies can share their customers personal information; the reasons Curry Acura, LLC d/b/a Curry Acura chooses to share; and whether you can limit this sharing. 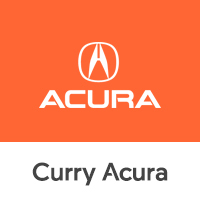 Reasons we can share your personal information Does Curry Acura share? Can you limit this sharing? Questions? Call 914-472-6800 or go to our contact us page. How does Curry Auto, LLC d/b/a Curry Acura protect my personal information? o protect your personal information from unauthorized access and use, we use security measures that comply with federal law. These measures include computer safeguards and secured files and buildings. How does Curry Auto, LLC d/b/a Curry Acura collect my personal information? Acura Financial Services, Bank of America, Chase Bank, Wells Fargo, Municipal Credit Union, Capital One Auto Finance.